In this 4-part series, Professor Dov Bing examines the historic connections of Jews and Muslims to Israel and the more contemporary establishment of the State of Israel. Part 1 concerns the indigenous Jewish presence. The entire national history of the Jewish people is inextricably bound up with the land of Israel. The faith of the Patriarchs, the return of the Twelve Tribes, the piety of the Judges, the kingdoms of David and Solomon, the teaching of the Prophets, the prudence of the Scribes, and the heroism of the Maccabees – all these had as their setting and their source of inspiration the cities and the countryside of Israel. Together, in Israel, these experiences moulded the Jews into a people that was able to maintain its identity despite 2,000 years of dispersion. The long night of Jewish homelessness began in the year 70 CE, when the Romans exiled the Jews from their homeland – although a vital remnant remained to keep alive a physical presence. 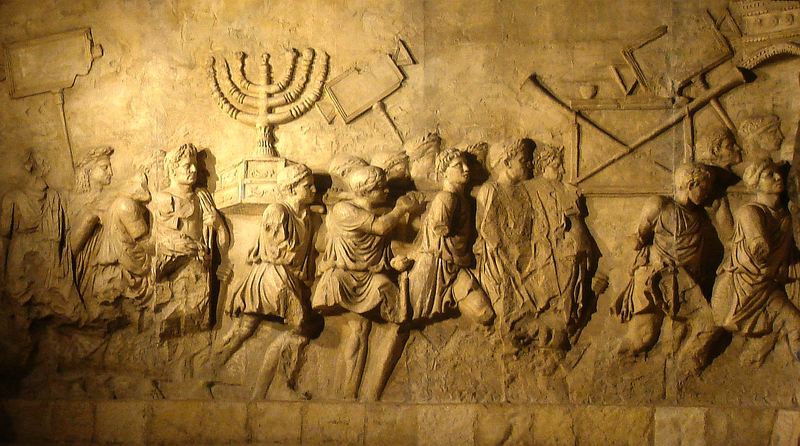 Sixty years after the destruction of the Second Temple by the Romans, the Jews revolted once again under the leadership of Simon Bar Kochba in 135CE. It was then that Jerusalem was “plowed over” at the order of Hadrian and the country was denied the name Judea and renamed Syria Palestina by the Romans. In the revolt itself – the fiercest and longest revolt faced by the Roman Empire – 580,000 Jewish soldiers perished in battle; 985 villages destroyed. In the centuries after Bar Kochba and Hadrian, some of the most significant creations of the Jewish spirit were produced in Palestine. 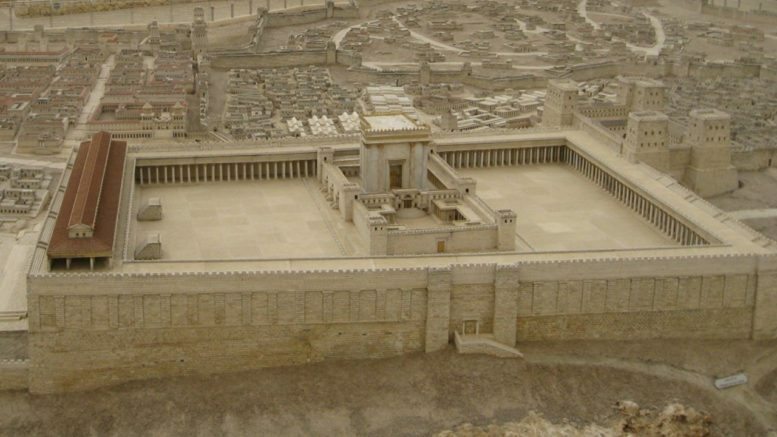 It was then that the Mishnah was completed and the Jerusalem Talmud was completed. In the year 351 the Jews launched yet another revolt, provoking heavy retaliation. When, in 438, the Empress Eudocia removed the ban on Jews praying at the Temple site, the heads of the Community in Galilee issued a call which began “Know then that the end of the exile of our people has come”. In the belief of restoration to come, the Jews made an alliance with the Persians who invaded Palestine in 614, fought at their side, overwhelmed the Byzantine garrison in Jerusalem, and for three years governed the city. But the Persians made their peace with the Emperor Heraclius and Byzantine rule was re-established. In 632 the Moslem Arab invaders came and conquered. By 640 Palestine had become part of the emerging Moslem empire. The 450-year Moslem rule was first under the Omayyads (predominantly Arab), who governed from Damascus; then under the Abbasid dynasty (predominantly Turkish), in growing anarchy from Baghdad; and finally, in alternating tolerance and persecution, under the Fatimids from Cairo. Along with the Arabs and Turks, the Jews were amongst the most vigorous defenders of Jerusalem against the Crusaders. The Jews almost single-handedly defended Haifa against the Crusader, holding out for a month (June-July 1099). At this time, a full thousand years after the fall of the Jewish state, there were Jewish communities all over the country. Fifty of them are known to us; they include Jerusalem, Tiberias, Ramleh, Ashkelon, Caesarea, and Gaza. For two and a half centuries (1260-1516) Palestine was part of the Empire of the Mamluks, Moslems of Turkish-Tartar origin who ruled first from Turkey, then from Egypt. Toward the end of the fifteenth century, Christian and Jewish visitors and pilgrims noted the presence of substantial Jewish communities. Even the meagre records that survive report thirty Jewish urban and rural communities at the sixteenth century. At the close of the fifteenth century the pilgrim Arnold van Harff reported he had found many Jews in Jerusalem and that they spoke Hebrew. In 1516 Ottoman Turks conquered Palestine. In the first generations after their conquest, they were tolerant to the Jews. Thirty communities are recorded at the opening of the Ottoman era. Safed was the centre. It became the largest community and assumed the recognised spiritual leadership of the whole Jewish world. It was there and then that a group of mystic philosophers evolved the mysteries of the Cabala. Joseph Caro compiled the Shulhan Aruch, the formidable codification of Jewish observance which largely guides orthodox custom to this day. In the neighbouring Galilean countryside, many Jewish villages flourished. In 1577 a Hebrew printing press was established in Safed. During the three centuries of Turkish decline, the Ottomans began to exploit the Jewish fierce attachment to Palestine. Early in the seventeenth century two Christian travellers, Johann van Egmont and John Hayman wrote that they Turks so oppressed the Jews, that “they pay for the very air they breathe.” The Jews of Jerusalem, wrote the Jesuit Father Michael Naud in 1674, were agreed on one thing: “paying heavily to the Turk for their right to stay here… They prefer being prisoners in Jerusalem to enjoying the freedom they could acquire elsewhere… The love of the Jews for the Holy Land… is unbelievable.” And not in Jerusalem alone. During the eighteenth century anarchy spread over the land and the country declined. The bare essentials of life became unattainable and the Jewish community contracted, although waves of immigration continued. Surviving letters tell about the adventures of groups from Italy, Morocco, and Turkey. Other letters report on the steady stream of Hasidim from Galicia and Lithuania. Palestine had become a denuded, derelict and depopulated country. The writings of travellers who visited Palestine in the late eighteenth and throughout the nineteenth century are filled with descriptions of its emptiness, its desolation. By Volney’s estimates in 1785, there were no more than 200,000 people in the country. In the middle of the nineteenth century the estimated population for the whole of Palestine was between 50,000 and 100,000 people. J. De Haas, History of Palestine- The Last Two Thousand Years, New York 1934, pp.52-55. A. Yaari, Igrot Eretz Yisrael (Hebrew), Tel Aviv 1946, p.46. A. Malamat, H. Tamor, M. Stern, S. Safrai, Toledot Am Yisrael Bi’mei Kedem (Hebrew),Tel Aviv 1969, p.548. The Pilgrimage of Arnold van Harff, London 1946, p.217. See also The Wanderings of Felix Fabri, London 1987, p.130. The 8,000 or 10,000 Jews in Safed in 1555 grew to 20,000 or 30,000 by the end of the century. See H.H. Ben Hasson, Toldot Hayehudim Bi’mei Habeinayim (Hebrew), Tel Aviv 1969, pp.239-240. B. Lewis, Notes and Documents from the Turkish Archives, Jerusalem 1952, p.15. J. van Egmont and J. Hayman, Travels, London 1759. R.P.M. Naud, Voyage Nouveau de la Terre-Sainte, Paris 1702, pp.58, 563. T. Shaw, Travels and Observations Relating to Several Parts of Barbary and the Levant, London 1767, p.331. See also C.F. Volney, Travels Through Syria and Egypt in the Years 1783, 1784, and 1785, London 1787. M. Twain, The Innocents Abroad, New York 1966, pp.351, 375, 401, 441. C.F. Volney, Travels Through Syria and Egypt in the Years 1783, 1784, and 1785, London 1787. 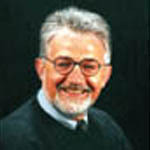 Dov Bing is a Professor at the University of Waikato and an expert in Political History of China and Middle Eastern politics. He recently received a lifetime membership award from the TEU primarily for his defence of academic freedom.